San Luis Obispo Superior Court Judge Jac Crawford heard arguments Tuesday on whether the city of Atascadero followed environmental law when it approved the construction of a Walmart in June. An attorney for Save Atascadero, a group opposed to the Walmart project, argued that the environmental impact report conducted by the city did not sufficiently examine air quality impacts the development would create. City Attorney Brian Pierik countered, arguing that environmental studies proved that potentially toxic emissions would be within the legal limit. Attorneys for Walmart, which Save Atascadero named in the suit, also disputed the claims made by the plaintiffs. The Atascadero City Council approved the construction of a Walmart superstore, as well as an adjacent shopping center dubbed the Annex, near the intersection of El Camino Real and Del Rio Road. Save Atascadero’s suit has delayed construction of the project. Crawford heard the case Tuesday afternoon in Paso Robles. He is yet to issue a ruling. Air quality impacts? from what, traffic related problems because of a Walmart? Not possibly because Atascadero hired the Wallace group to provide the engineering and design for the freeway overpass upgrades, the traffic circle, and everything else related to traffic problems. Look how nice LOVR turned out where Home Depot and Costco is. Shuckins folks…It only takes 20 minutes to travel 3 blocks during rush hour now. 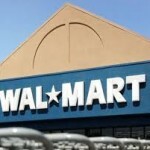 Walmart pays lousy wages, sells garbage made in other countries and causes small shops and markets to close. A lot of what they sell is not a good deal price wise. Greedy small minded politcians love the idea of collecting sales tax revenue even at the expense of the small businesses in the community. When Walmart comes to town, Walmart wins. Each and every sentence = so true. Thumbs up smiley for your accurate comment. Most other retailers pay lousy wages, especially the mama-papa stores, and most other retailers sell garbage from third world countries, and most other retailers charge similar or higher prices for the same cr_p. So tell me then, what is the real difference between Walmart and K-Mart or Target??? Is it just that they are a bigger target? Or, that their owners are richer? This might be true, mainly because they can get cheap labor and materials in foreign counties. IMHO, this is because the crap that most people want or don’t really care if it breaks as soon as they get it home as long as it was cheap. It is because our corporate and manufacturing laws encourage taking this manufacturing over seas and rewards those who do so, while punishing businesses here at home more and more. They have all off-shored their production to increase their profits. Based on your concerns, the Apple Store is exactly the same as Walmart, except that Apple’s cheap Chinese cr_p is super expensive. I’m not a fan of Wal-Mart, but having said that, this lawsuit appears frivolous at best considering the rules and guidelines that drive the CEQA process. CEQA requires the decision-making agency to balance, as applicable, the economic, legal, social, technological, or other benefits of a proposed project against its unavoidable environmental risks when determining whether to approve the project. If the specific economic, legal, social, technological, or other benefits of a proposed project outweigh the unavoidable adverse effects..
Perhaps the opponents consider the evidence in the EIR unsubstantial. Title 14 CCR is very clear regarding this provision. At this point, this lawsuit seems to be similar to the years of lawsuits and delays that Los Osos experienced. I hope they are able to come to some sort of agreement that doesn’t take 30 years to resolve. This is not about CEQA, or a two page letter. The lawsuit is 100% UFCW funded. Years ago, I publicly supported the project. Since then, I have come to understand the detriments that accompany the business, as well as the fact that all “big box” stores are not created equally, and some are much more beneficial to a community and their employees than others. Today, I will not support the project with the anchor store currently proposed. This might be different if another store were to anchor the business development. Why drive to SloMaria or cross the Nimblick Bridge when you can just bicycle through Atrashcadero. Yeah save the what? Save the paper process? The small town stores where our hard working children spend long days earning money that is well saved or spent on what they really need? I think our culture needs to start a B.S’rs. Anonymous. The real problem is that Tom Comar and Lee Perkins are spreading way too much pollutants on Atascadero. SAVE ATASCADERO? A little late for that.